Enjoying the fruits of the sea on holiday may be beneficial for the brain as well as the palette, according to research. 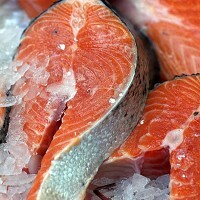 Although the benefits of omega-3 fatty acids, particularly prevalent in oily fish such as salmon, have long been associated with better brain health - experts now think that eating any type of fish could have a positive effect. Eating a fillet of baked or grilled fish just once a week can help improve cognitive function, experts from the University of Pittsburgh say. They discovered that people who ate grilled or baked fish at least once every seven days had 4% greater grey matter volumes in the area of the brain responsible for memory. Meanwhile the region associated with cognition showed an average of 14% improvement, they added. However, the way the fish was cooked was deemed important too, ruling out the brain health benefits of the traditional British cod and chips by the seaside. Professor of psychiatry at the university, Dr James Becker, said that people who ate a diet including grilled or baked fish - but not fried - saw the benefits. The research led experts to conclude that this was indicative of a general set of lifestyle factors, including diet, rather than biological ones having a positive impact on brain health. So while enjoying a plate of freshly-caught fish by the Mediterranean can have benefits, it should be part of a healthy lifestyle. The study by Dr Cyrus Raji and his research team looked at data from 260 people who provided data on their diet and had brain MRI scans. Some 80 million people are expected to have dementia by 2040, putting an ever greater burden to sufferers' families and NHS resources.